Any business that cares about their online presence should care about SEO. If you’re not on the first page of search engines such as Google, Yahoo, and Bing than your website might not be getting the the traffic that it deserves. I’ve been there before and so have most websites when they first get off the ground. Most people don’t search past the first page and they certainly don’t go past the second page if they make it that far. My SEO skills are constantly improving and evolving and that’s because the way Google ranks websites is constantly improving and evolving as well. Many businesses have asked for me to help get their website ranked higher in Google while builder their website and I’ve been fortunate enough to help those clients in multiple areas big and small. Companies located in Syracuse, Rome, Oneida and Canastota, NY have all fought the battle to be ranked competitive for keywords and I’m proud to be part of that fight. While many businesses find me through Google by searching for keywords like “web design in Syracuse, NY” maybe you found me on Craigslist instead. Or perhaps you were recommend by a friend and you live in a different state – No problem! Not only can I help create a website for anyone, anywhere but I can do the same fro my SEO services as well. I’ll also help you get ranked for multiple areas and states for businesses that want to expand nationally, not just locally. Content Is King – Some people can spend hours talking about themselves and their business. However it’s not so easy for everyone. 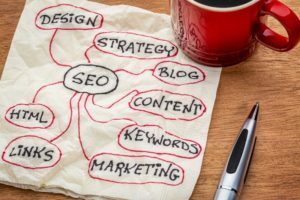 The bad news is, coming up with a few paragraphs about your services and products if often required to produce SEO results. The good news is I can help you put your thoughts together and make your text work for you. External Links – The more you get your website out there the better. Not only does it allow more people to find you b it also makes Google consider your website to be more important. Youtube Videos, Social Media Status Updates, Directories can all be used to have links point back to your web page. Local Listings – Nobody uses Yellow pages anymore. Nowadays everybody uses the internet in order to find phone numbers and addresses. If you type in the type of business followed by the city and state, many times those sites will show up first and if done correctly, they will showcase your website first. I don’t promise miracles and I wont. 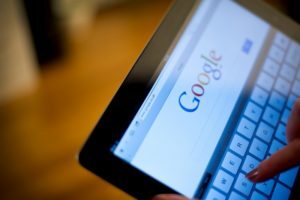 There are many factors that go into being #1 in Google and anyone who guarantees it could seriously be misleading you. Anyone who tells you that they can improve your websites SEO overnight is either lying to you or doesn’t know what they’re doing. SEO takes time and dedication. But with that time and with that hard work can come results. That’s why my guarantee isn’t that you’ll be #1 in Google but that you’ll be put in the best position to become #1 in Google. If weight loss is your personal New Years Resolution than SEO might just be your business resolution. Both are very similar in that aspect and both can make your life more positive. Tweak Content – As I mentioned earlier search engines read text instead of images. I’ll place your keywords that you want to rank for throughout your site. Submit Your Site – Your site works best when the world knows its out there. I’ll place your site in local directories along with category directories with a high Google PageRank which will boost rankings as well. Local Listings – As i mentioned above I will be placing your website in local directories if they are not already done. Some of these sites include Google Places, Local Yahoo, Yelp, Bing Local, just to name a few. Social Networking – I’ll help you set up your Facebook, Twitter and any other social sites that will asist you in building up your fan base and creating a two way dialogue with the viewers of your site. This can also possibly create some buzz on the news feeds of others.